Navajo Code for America was "Our Mother"
As children, Alan Dale June and Samuel Tso were routinely punished while attending public school - their mouths even washed out with soap - for speaking the language of the Navajo Nation. Years later, the very establishment that asked them to bite their native tongue, asked them to use their language for the greater good of this nation. These two men, Navajo codetalkers during World War II, were honored recently at a powwow and luncheon here, speaking to a crowded room at Club Hill, Nov. 14 and were met with appreciation, applause and a standing ovation. The Japanese had deciphered the U.S. military code and new communication tools were needed at once. The solution was to recruit Navajo men to serve as Marine Corps radio operators and have them develop a military code using their native language. This small, elite group of Navajo codetalkers, would later be credited with saving thousands of lives. Throughout the duration of the war, more than 400 Navajo men memorized and relayed secure communications using the code, while 29 are credited with creating the original cipher. 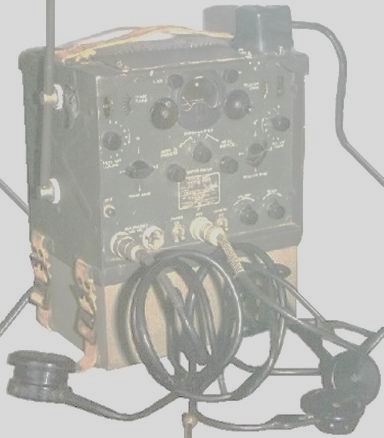 Codetalkers transmitted covert tactical messages, orders and troop movements by telephone and radio. The Japanese, known for their capabilities in cracking such code, never deciphered the secret lingo. The language, known as the most complex in the world, is difficult to learn because of the many intricacies such as sing-song patterns and words that sound alike except for minor variations in their intonation. During one 48-hour battle, codetalkers sent and received more than 800 messages without a single error assuring the successful and strategically critical take over of Iwo Jima, Japan. "We had to memorize the code exactly because one wrong word could order artillery fire on ourselves," said Tso. Tso, who resides in Lukachukai, Ariz., explained that to create the original code, the codetalkers used the English alphablet then attached animal names to each of the 26 letters. The names were then divided into groups depending on their animal type - land-dweller, sea-dweller or airborne creatures. For instance, "hummingbird" meant "fighter plane." Eventually, the code was modified to be even more complex consisting of nearly 600 words or phrases. It was foolproof. June, a resident of West Valley City, is one of only four surviving original codetalkers. He joined the Marine Corp in 1942, at the age of 16, when he forged his parent's signature permitting the enlistment. Assigned to a Naval battleship, June was involved in each of the seven major battles waged against Japan up and down the Pacific corridor. "We are honored you would invite us here to stand before a sea of faces and have recognition," said June. "Thank you." June's wife, Virginia Knoki-June, introduced the men and called the recognition of these American heroes long overdue. Only recently did codetalkers receive acknowledgement from the U.S. government and public alike when in August of 2001, they were awarded Congressional Gold and Silver Medals - the legislative branch's most prestigious award. Following the axis nations' surrender in 1945, the men returned home and were sworn to secrecy about their role in the victory, as the Navajo code remained a potentially valuable weapon against future enemies. The Navajo code words for America were `our mother,' and both men emphasized their willingness to join in the fight to protect this nation's land - the land that Native American people walked on first - and ultimately to protect everyone living here today. "Many asked themselves `is dropping the bomb justified'," Said Tso, "At first I said `No.' My people were labeled savages when we resisted being pushed off our land. Maybe here and there, we scalped a few people, but I wondered what kind of savages are these killing so many in the blink of a second. But later, I changed my mind," he added. "It was justified because I am standing before you today, and about a million other lives were saved because of it."